A multidisciplinary symposium organised by the University of Plymouth aimed to identify barriers to obtaining reliable evidence from child suspects. Of the 90,000 children that are arrested every year, most are questioned by police. Their replies can often form the basis of a case against them. The vast majority of these children are suspected of minor offences and, as a result, are questioned by a police officer or staff with no training in questioning children. Obtaining reliable evidence from a child, especially one in trouble with the law, is a challenging process. Child suspects are often from deprived backgrounds and there are high incidences of psychological and psychiatric difficulties, which can be exacerbated by detention in a police station and go unnoticed. Therefore, there is a pressing need to improve the process for questioning children in trouble with the law to avoid potential miscarriages of justice. 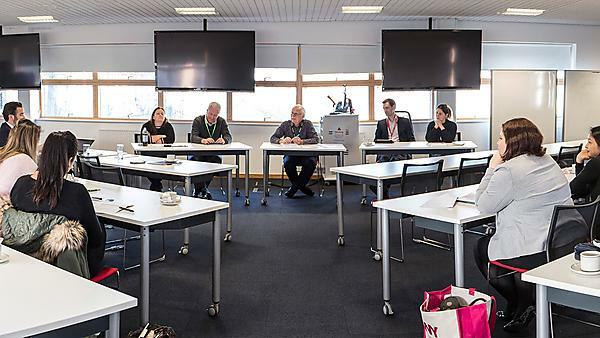 On 30 November 2018, the University of Plymouth organised a multidisciplinary symposium to look at how to tackle this significant shortcoming in the criminal justice system. Experts in youth justice, psychology, policing and law from around the UK and from Europe convened in Plymouth. They were joined by experienced local police officers, appropriate adults, judges and solicitors. The aim was to identify problems in obtaining reliable evidence from child suspects, and ideas of how to address these issues so that any decisions made in respect of these children was based on sound evidence. Allowance for suspects, legal advisors and appropriate adults to record events in the custody record. The event was organised by the School of Law, Government and Criminology at the University of Plymouth. It was funded by ISPER and the British Society of Criminology. For further information please contact the organiser, Piers von Berg, at piers.vonberg@plymouth.ac.uk. Transforming society, influencing policy, and supporting enterprise through outstanding inter-disciplinary research. Research, teaching and learning about the real world, preparing tomorrow’s global professionals in a stimulating and supportive environment.